You have to hand it to the Dutch. On one hand, they crack down on their biggest tourist attraction – the ability of tourists to toke up legally in the famous cannabis cafes. That’s a big business over there and of course there are protests developing, mellow ones with lots of hungry people involved, to be sure. There are two other parts to the law. One sets out the conditions under which a subscriber may be disconnected, and the third is characterized as an “anti-wiretapping” provision. For those who are constantly pushing for monitoring of consumer traffic to detect potential infringements, this part of the law would be, shall we say, totally unacceptable because it is based on providing customer privacy. 1. Notwithstanding the Dutch Penal Code and the provisions set out in or by way of this act, the provider of a public electronic communications network and the provider of a public electronic communications service ensure the confidentiality of the communication and the related data via their network or their services. d. these actions are necessary to comply with a legislative provision or a court order. c. the duration of the tapping, listening, intercepting or surveilling of the data. Remember, these are rules for the country with the best Internet access rankings in Europe. According to Akamai’s State of the Net report for 4Q 2011, the Netherlands was 4th in world in highest average connection speed, (U.S. was 13th ) at 8.2 Mpbs – the highest in Europe. It was also 2nd in the world with the percentage of subscribers above 5 Mbps – 67% (U.S. is 12th) and 6th in percentage of customers above 2 mbps, 94% (U.S. is 35th, with 80%). 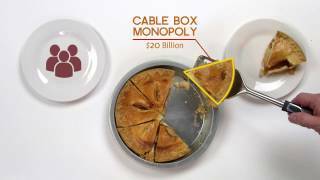 The Net Neutrality laws were enacted in a hyper-competitive, super-charged market in which cable has captured around 40 percent of the Internet-access business in an environment in which both telephone and cable companies have to unbundle their networks and offer service to competitors. It is, in short, the kind of network the U.S. could have had – robust, constant competition between and among copper, fiber and cable networks – but which U.S. regulators chose first to take apart during the Bush Administration and now to ignore generally in the Obama years. It’s probably a little inconvenient and awkward (declasse?) 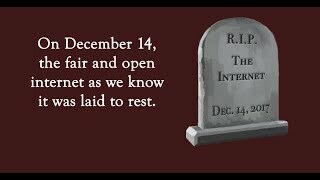 to bring Net Neutrality back to the discussion after all these months. After all, it’s nothing more than intrusive government trying to tell business how companies should treat their customers, right? Wrong. Just as Dutch policymakers recognized the need for open networks in a regulatory structure far more competitive than ours, the requirements for an open, neutral network are even more important as U.S. policymakers stand idly by while the industry consolidates and grabs even more power. Comcast’s questionable exemption of its data caps for the Xbox 360 is just the latest example, one that Netflix illustrated simply and starkly in a presentation to the Federal Communications Commission staff. Material is exempt from caps when the carrier generates it. It is not exempt when it comes from another source, like over-the-top programming or video like Comcast. He took on the Federal Communications Commission (FCC) saying that, “right now, regulation appears weak. The F.C.C. has net neutrality rules. But the agency lost one neutrality case against Comcast in 2010, and Verizon is challenging the new rules issued in response to the ruling. The rules, moreover, have loopholes. For instance, they allow broadband providers to allocate portions of their pipes for special ‘managed’ services.” Porter is right. It was particularly cheeky of FCC Chairman Julius Genachowski on May 8 to list to the wireless industry at its annual conference that among the FCC’s accomplishments was “establishing rules of the road to preserve Internet freedom.” Those rules, now under court challenge, basically exempted wireless. The conclusion should be clear: Without an open network, and more competition, U.S. innovation will go up in smoke.